We know that remodeling your home is a very important change in your life. We also know that for some the process can be stressful. Therefore, our focus is to work with you throughout the entire project. This is achieved by doing the basics; communicating. From the start we make sure you understand all of your options, the process of your project and that all of your questions are answered along the way. We will do our best to relieve any of the projects stresses. PROTECH Home Improvements is a home remodeling company that cares about its clients and the workmanship we provide. We use our years of experience and expertise to complete your project with perfection! Customer service and honesty are the most important aspects of our business, and your satisfaction is guaranteed. Please call us today for an estimate. We look forward to working with you. I began my career in 1987 in the military where I learned to manage logistics. I basically managed the movement of people and their belongings. This gave me the ability and skills to be efficient. I entered the construction workforce in 1992 where I learned to frame new construction homes. 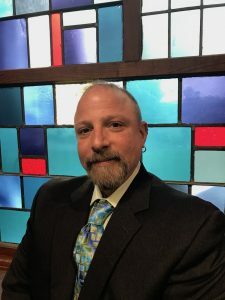 I moved to Westfield, NJ in 1999 and began my own business where I managed small jobs to include basements, bathrooms, kitchens, attics, decks, interior and exterior drainage, additions and alterations. 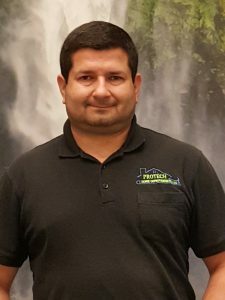 After years of working hands on and learning the makings of older home construction I joined a company that managed small construction projects. Since then I joined with two great partners to form PROTECH Home Improvements, LLC. I have 25 years of hands on experience and will use my skills and knowledge to guarantee your satisfaction. We believe that the customer comes first and would be honored to be your first call for any of your home and property improvement needs. I was born and raised in Costa Rica. Over 20 years ago I was blessed with the opportunity to move to the U.S. Ever since my arrival to the US I have worked in the construction business. Whether restoring, remodeling or building from the ground up I have found myself working in most of the construction trades. 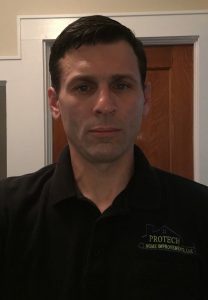 All that gained experience motivated me to start Protech Home Improvements, LLC with two other experienced partners which I worked with along the way. I am positive that you will be happy with choosing our company for your home improvement needs. Since I was in high school I have always been in either the construction industry or in sales. I have sold everything from women’s shoes, perfume and cologne, knives and even vacuum cleaners. My first construction job was as a “gopher” with an electrical company. After high school, I worked for a golf course construction company where I learned the excavation and heavy equipment industry. From there I went into the Navy, where I was a Steel worker with the Seabees. When I returned home, I started working with an exterior remodeling company where I installed everything from roofing, siding, windows, doors, gutters, patios and decks. After a few years, I was given the opportunity to start selling and managing. I was with them for 15 years until I finally branched off on my own. While in my own business I became involved in interior remodeling and new home construction. I have designed and overseen many interior projects including kitchens, bathrooms, attic and basement finishing. No home is too big or small. I am a professional, with the knowledge and skills to deliver what I promise. While I was on my last endeavor, I had the privilege of meeting and working with 2 other professionals who had the same interests and values as me and after 2 years we decided to combine our talents and open PROTECH Home Improvements, LLC. My true calling is in the home remodeling industry with 25 years of experience where I can combine my talents with my 2 partners to bring your dreams to life.